Admitting to yourself that a relationship is not serving you is a very difficult thing to do. If a relationship is damaging to you or if it is blocking you, then it’s time to reevaluate its presence in your life. Let me ask you a question. If you took all the energy you put into your parasitic relationships and invested it in yourself instead, where would you be? Resentful and exhausted at the end of each day and dreading getting up the next morning? Or fulfilled and ready for a restful night’s sleep and excited about tomorrow? If you’re in relationships that are taking more from you than they are giving, it is time to redefine them or get out of them without any excuses. If the people in your life aren’t embracing and supporting the growth in your life, then it is time to change the people you’re around. One of the most empowering steps I see my clients take is to develop a positive support system. In my work, I have observed those who come to me with a support system in place and those who happen to be without one. Those surrounded by functional families, healthy social lives, and work environments with colleagues they respect have a tendency to take quantum leaps in their growth, unlike those who are isolated from family, have no interest in listening to others’ opinions, and don’t cultivate peer relationships at work. If you’re broke and hanging out with broke people, your mind-set isn’t going to change, nor are your circumstances. Few of us can rid ourselves of parasitic relationships until we have the support of a network of people who are truly interested in nurturing our best selves. 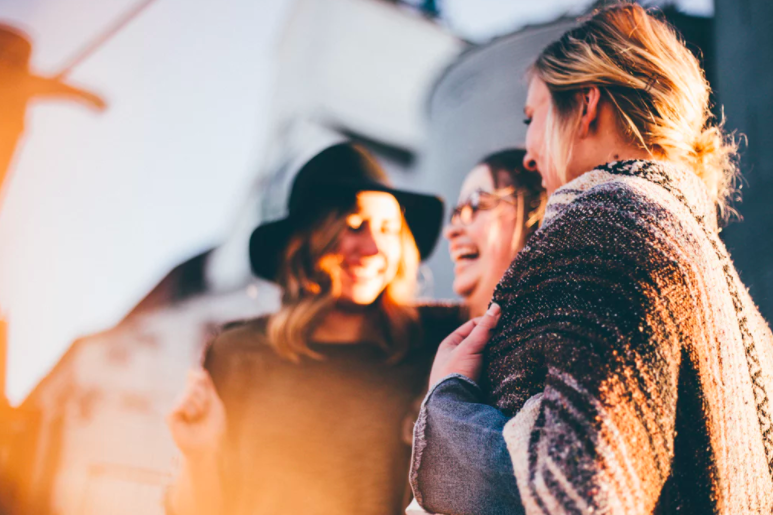 Women thrive when we support each other, rather than tearing one another down because of the deeply embedded masculine view that there is room for only one at the top. When we structure our support systems so we can be honest with others. Being in a supportive network teaches us many things. First, when we make time for positive relationships, we have less time for those who are draining and pressuring us. Second, we learn how to receive help from others. This is key to becoming a Leader of Change. There is a natural flow of give-and-take. Your support system will be there for you and have your back when you start to doubt yourself or find yourself falling back into old patterns. If your friends are also learning how to let their potential flow through them, your success is much more likely. Samar Shera author of Strut: How Every Woman Can Be a Leader of Change, works as an integrated clinical hypnotherapist and life coach and is certified in energy modalities such as Reiki, Theta Healing, and the Law of Attraction. Brought up in an Islamic Pakistani family living in Dubai, she defies stereotyping and dramatically expands the international conversation about the universal rights, needs, and desires of women and girls. www.samarshera.com.